When traveling abroad, plenty of considerations will be made in regards to itinerary, accommodations and expenses. What many fail to take into account is the need to protect and guarantee that you will have access to your finances when away from home. Many people fail to check off a few basic concepts before embarking upon their journey, which can come back to haunt them on vacation if a problem arises. 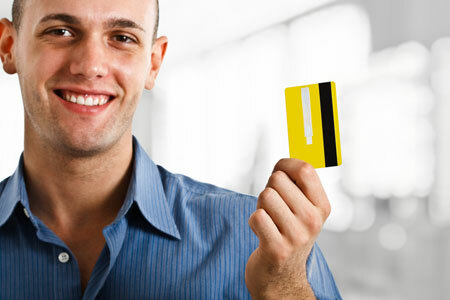 Below, we outline the most important things you can do in regards to your credit card information prior to leaving the house. Many banks keep a close eye on your account for suspicious activity. If you are someone who does not travel outside of the country often, then you should give your card issuer prior notice that you will be leaving the country, and to expect charges on your account from whichever location you have selected. This will help prevent your finances from being frozen while traveling. Even though the freeze can be reversed fairly quickly, it is a better idea to take care of it before it even becomes a problem. In the event that your card is lost or stolen, you do not want to be without valid credit card information that can be used and is also secure. We recommend using a device with built-in encryption, such as a USB drive, that can safely store this information and only be accessed by you. You’ll be able to rest easy knowing that if anything does happen, you have a backup source to your finances. If you are planning on heading outside of the country, it may be a good idea to keep a backup credit card with you – just in case. In the event you believe your card to be lost or stolen, you will be able to quickly cancel it and not worry about your vacation being impacted. Many travelers fail to do this, end up “losing” their card and promptly canceling it, and then find out that they simply misplaced it. Don’t be a victim in this situation: be proactive. When you call the card issuer to inform them that you’ll be leaving the country, be sure to inquire on any additional fees that are charged when using your card in other countries. In some cases, credit cards will be charged 1-3% for each transaction made overseas, as well as fees for any ATM cards used. You can then figure out which of your cards will be the best to use overseas based on their fee structures.